Thanks to the immigration department, we know that – excluding tourists and New Zealanders – close to 900,000 temporary migrants were living in Australia at the end of last year. Most were international students and student graduates, working holiday-makers, 457 visa holders and people on bridging visas awaiting the outcome of visa applications or appeals. That broadbrush picture doesn’t tell us how long these migrants have been here. With the exception of the special category visa issued to New Zealanders, all temporary visas are time-limited. Working holiday-makers can stay for a maximum of two years, 457 visas are issued for up to four years, and a student’s stay is generally linked to the duration of the course. But we do know that tens of thousands of temporary migrants transfer from one visa category to another and stay on in Australia. 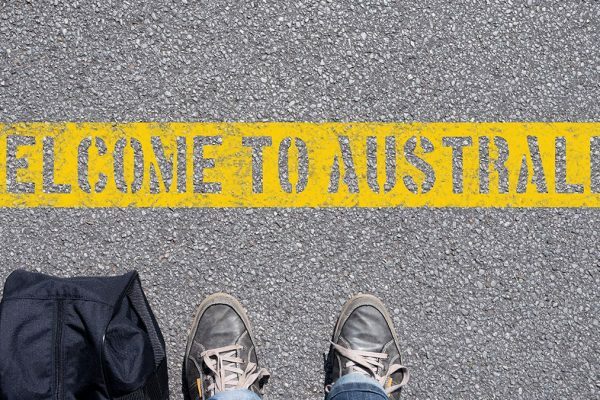 Immigration department figures reveal, for example, that in 2015–16 more than 72,000 international students transferred to a different temporary visa subclass. Almost 40 per cent swapped to a different student visa, and most of the remaining 60 per cent transferred from a student visa to one of three other temporary visa categories – a 485 post-study work visa, a 457 temporary skilled work visa or a working holiday-maker visa. And more than 9000 temporary visa holders moved the other way, from working holiday-maker and 457 visas to student visas. In other words, it’s possible for migrants to live in Australia for an extended period and become, effectively, indefinitely temporary. 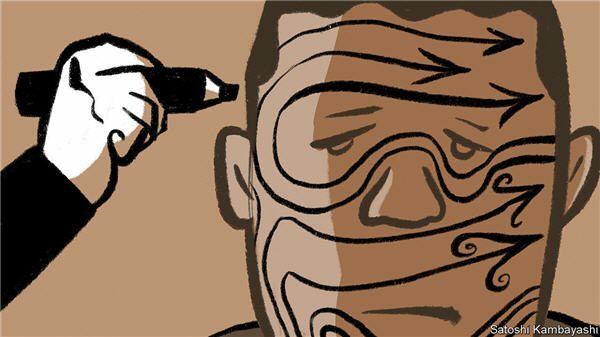 I have met many such people, and describe them as being “not quite Australian.” They live and work in Australia, they have made their lives here, but they don’t, officially, belong. It’s surprisingly difficult to get an accurate picture of how many people fall into this category. When I have sought this information from the immigration department in the past, I have been told that the department’s administrative systems are not set up to collect the data in this way. Information on length of stay generally captures the amount of time a temporary migrant has spent in Australia since the date of his or her last arrival. This gives no reliable indication of how long a visa holder has been based in Australia, because migrants (like a lot of us) move in and out of the country, visiting friends and family or holidaying, working or studying. More relevant would be their length of stay since the date of first arrival, but the department says that calculating the movement across different temporary visas would involve complex and time-consuming data-matching for more than a million individuals. Fortunately, the Australian Bureau of Statistics releases useful data in its Characteristics of Recent Migrants series, which draws on a three-yearly survey of the progress of migrants who have come to Australia over the past decade, covering areas such as employment, education and household income. The survey isn’t concerned with how long a migrant may have lived in Australia on a temporary visa, but some of the data is organised by visa status and year of arrival. That makes it possible to see the number of people who first arrived on a temporary visa and are still living here on a temporary visa many years later. The most recent of these surveys, just released, shows that of the temporary visa holders living in Australia in November 2016, 45,300 had first arrived on a temporary visa eight or nine years earlier – that is, in 2007 or 2008. Another 78,800 temporary migrants had first arrived in Australia on a temporary visa six or seven years before (after arriving in 2009 or 2010). These are significant numbers. But the data needs to be treated with some caution. It doesn’t reveal whether all these visa holders have been living in Australia continuously during the years since their first arrival. A temporary migrant might have first come to Australia in 2007 as, say, a working holiday-maker, then returned to his or her homeland for several years before coming back to Australia in, say, 2014 to study or to work using a different category of temporary visa. My hunch is that such cases make up a relatively small proportion of the overall caseload, but I can’t be sure of this. At the very least, though, the new figures provide an indication of the number of migrants who have had an extended engagement with Australia and yet remain temporary. They also show how much this cohort has grown since the previous survey, in November 2013, which found 18,600 temporary migrants who had first arrived in Australia on a temporary visa eight or nine years earlier. In other words, the number of visa holders in this category has grown by 250 per cent in three years. There’s one other caveat. Because the ABS survey is only concerned with “recent migrants” – those arriving in the previous decade – it doesn’t provide any indication of the number of temporary migrants who first arrived in Australia on a temporary visa more than ten years ago. It also excludes anyone who was under fifteen at the time of arrival, and may still be in Australia on a temporary visa. 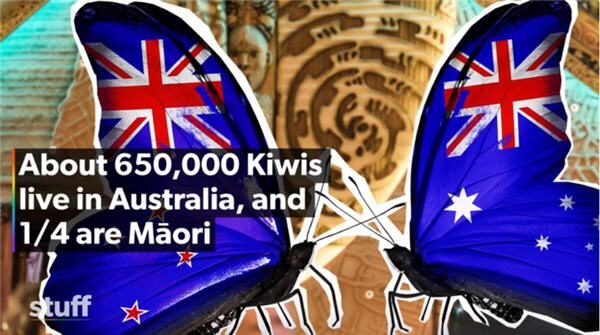 And it excludes New Zealanders living in Australia for extended periods on the “temporary” special category visa. These numbers matter because they reveal a significant cohort of migrants whose engagement with Australian society extends over long periods without their being fully included in the life of the nation. They work, pay taxes, generate export revenue (particularly in the form of university fees) and contribute in many other ways, yet after years in Australia they have diminished rights and little or no access to government support. Combined with the government’s plan to make it harder for permanent residents to become Australian citizens, this situation risks creating a protracted and uncertain migration experience that generates high levels of stress and insecurity and works against a sense of belonging and a coherent national identity. [Read the Inside Story article]. 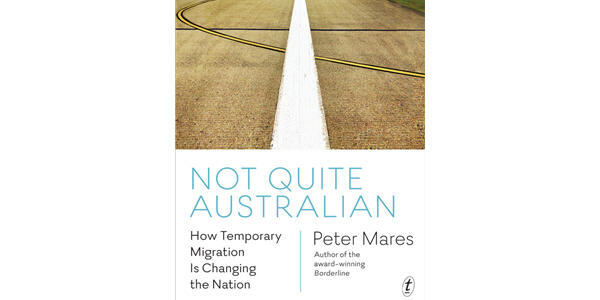 Peter Mares is a contributing editor of Inside Story and author of Not Quite Australian: How Temporary Migration Is Changing the Nation.